Zula was born in 1975 in the wilds of Africa. She was orphaned as a result of a culling of the adults in her herd. 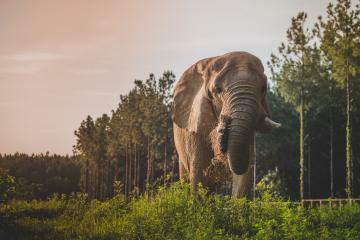 On June 1, 1978 Zula arrived, along with another wild-caught elephant named Tange, at the Chehaw Wild Animal Park in Albany Georgia. 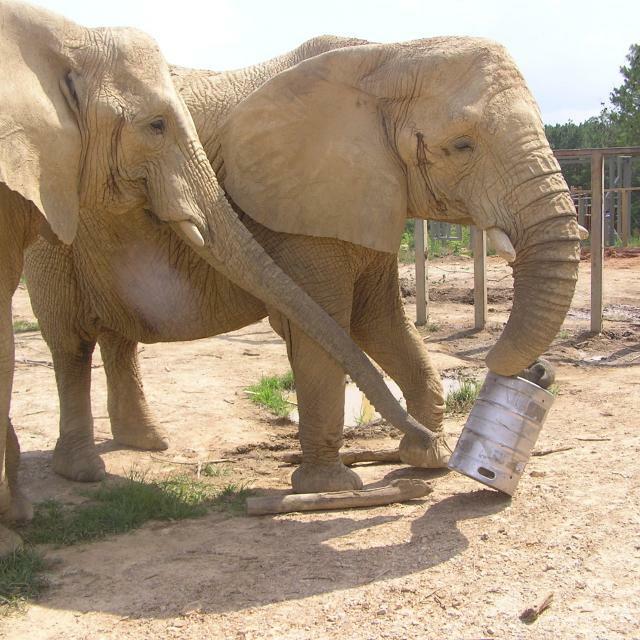 Zula and Tange spent their entire lives, prior to the Sanctuary, entertaining thousands of zoo patrons that visited the Chehaw Wild Animal Park. 1985, Dottie was sold to a circus trainer and Zula and Tange remained. Zula was known as the calmer, more manageable of the two elephants and was used more often for special events and off grounds promotions. Over the years, she developed digestive problems and had tooth and tusk surgery. Additionally, she sustained a soft tissue injury to her left hip which continued to cause her discomfort at times. 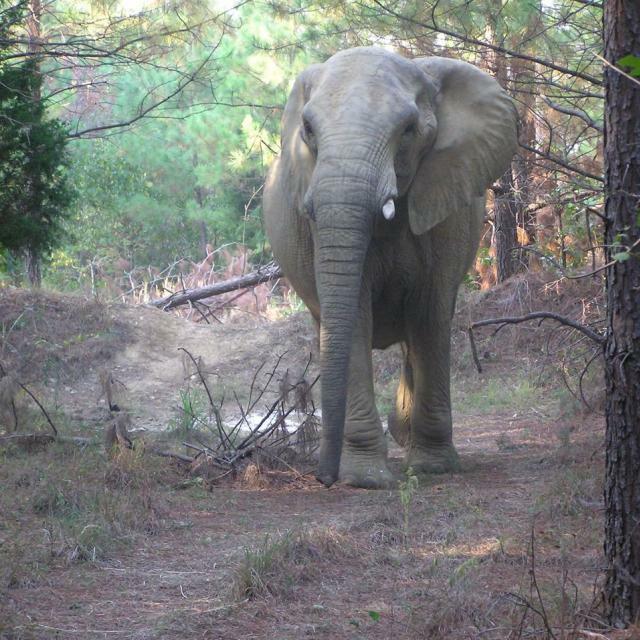 On February 19, 2004, Zula became the eleventh resident and second African elephant to retire to The Elephant Sanctuary in Tennessee. Zula disembarked from the transport trailer seconds after Tange did. In addition to being The Sanctuary’s first African residents, they were also the first elephants to be retired and transported as a pair. A month later they received a surprise they had not seen in decades: another African elephant arrived to join them: Flora, also captured from the wild and an ex-circus performer. In the coming months and years, Zula’s personality was described by Caregivers as wise, regal, and kind. Her friendship with Tange remained her focus, while her bond with Flora continued to grow, despite their occasional rivalries for the role of herd matriarch. Each year, Zula and Tange would expand their explorations even further into their vast habitat—eventually breaking their old zoo habits of returning to the barn every evening and choosing to spend nights under the stars instead. 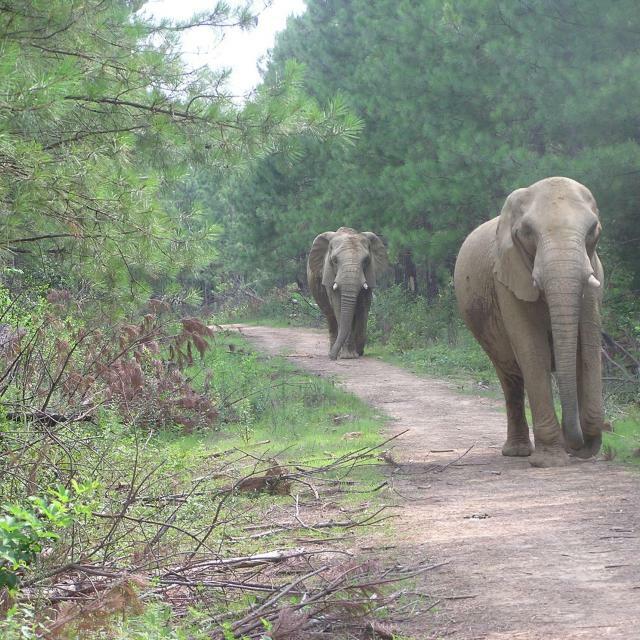 For almost five years, Zula flourished at The Sanctuary, fully utilizing the space and richness of her environment in the company of her closest companion, Tange. Known as the queen of mud, Zula loved to spend time in any form of mud, and was highly skilled at manufacturing mud wallows. Zula passed away January 11, 2009 in the company of Tange and her Caregivers and Veterinarian.